You must make reservations at least 5 minutes in advance of the time at Andre's Restaurant. Weddings, Showers, Birthdays, Communions, Baptisms. Beautiful spot for intimate ceremonies under the tree by the lake. 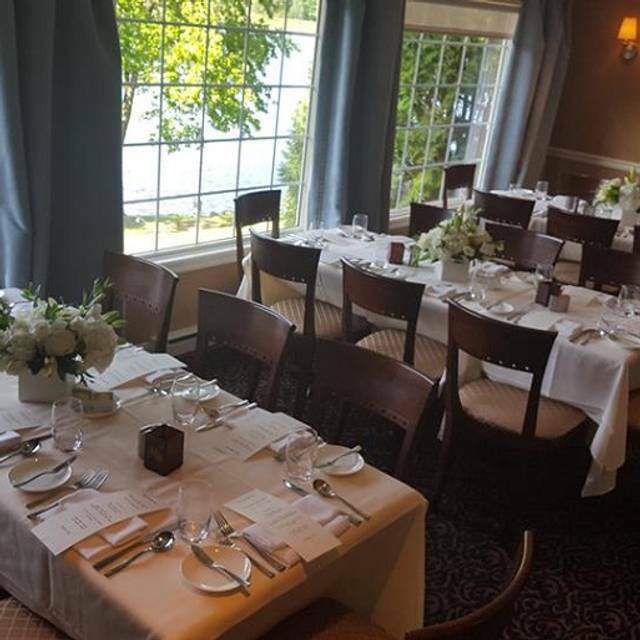 Andre's can cater you intimate private affair at our beautiful lakeside location or one of our offsite locations. We offer a beautiful bed and breakfast spot, some farm locations or your own home or office. Custom menus for every need. 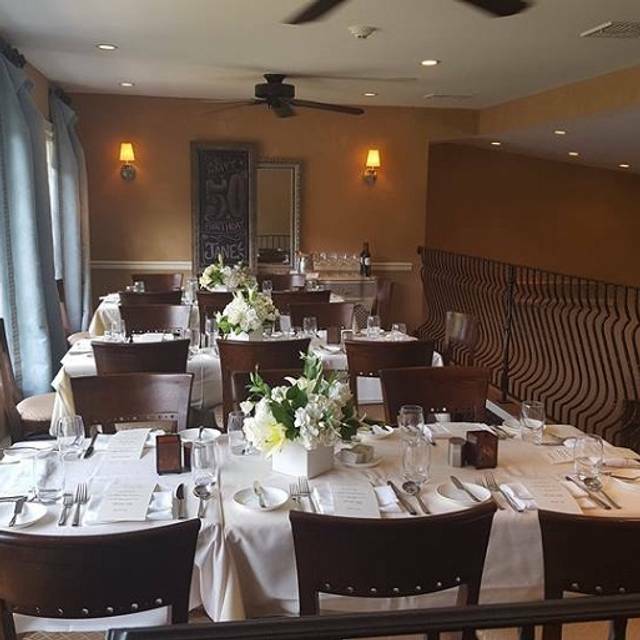 From our beautiful location to our exquisite dishes, Andre's is the perfect location for your next private event. 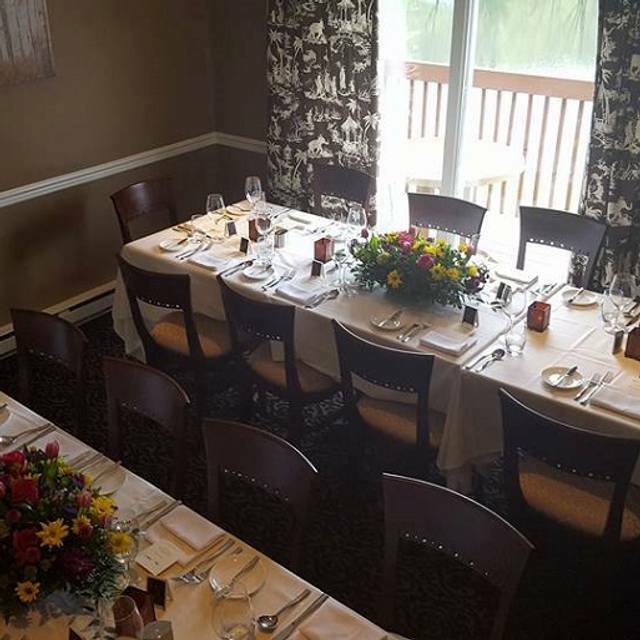 Let us help you wow your guests and make an impression that will last a lifetime. 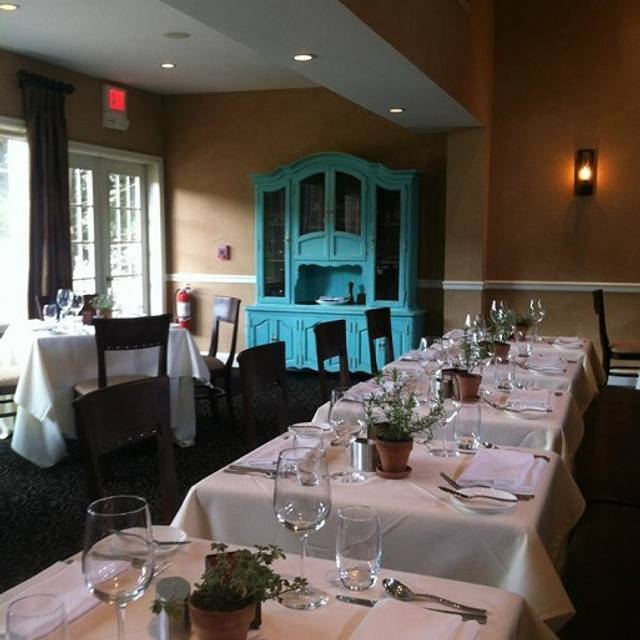 Andre's Restaurant opened in 1998 in Newton to rave reviews by owners Andre' and Tracey deWaal. Now 18 years later they have renovated and relocated to Beautiful Seneca Lake in Sparta. French cuisine with an Asian flair will tantalize your taste buds. 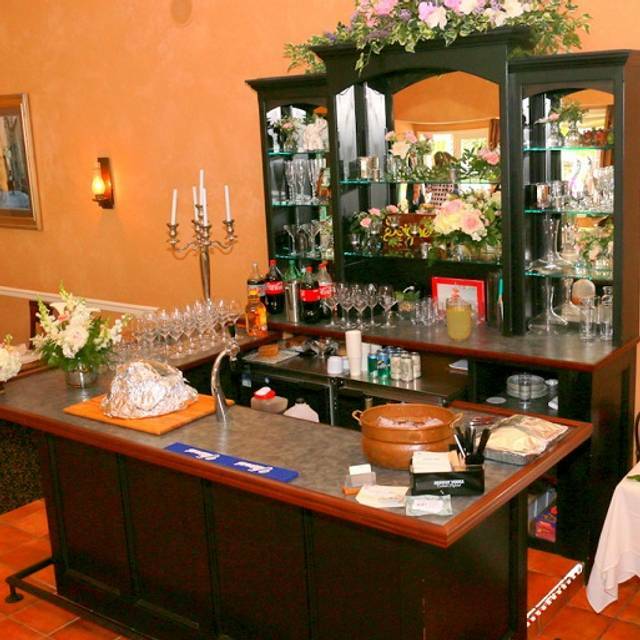 Attention to every detail with remarkable service is the goal of Andre's. Place yourself in the chef's hands, relax and try the daily tasting menu or create your own. This location has no liquor license so you are welcome to bring your own wine to enjoy with dinner or Enjoy a bottle of ALBA Vineyards Wines. We now offer a great selection from this New Jersey Winery. We Recommend: a five course dinner- select a soup, appetizer, salad, main course and a dessert add $38 to the main course price & enjoy! Tasting Menu Available Daily 6, 7 or 8 courses. Sit back & Allow Chef Andre to wow you! An out-of-the-way location but well worth the drive. Don't forget to bring your drink. Our favorite restaurant in Sussex County. The food is always fresh, and the menu changes, never boring. BYOB and great friendly atmosphere. We had a great experience and loved the service and the food. The staff was friendly, knowledgeable, and very accommodating. We can’t wait to go back. Our dinner was exceptional !!!!!! A great experience, can’t wait to return!! We did the tasting menu and it was fabulous! Each course was as good as the next one. Enough time in between courses and not rushed at all. Our first time but won’t be the last. A dining experience that lasted two and a half hours which was a culinary delight. We ordered the steak and duck which was cooked and presented to us with perfection. 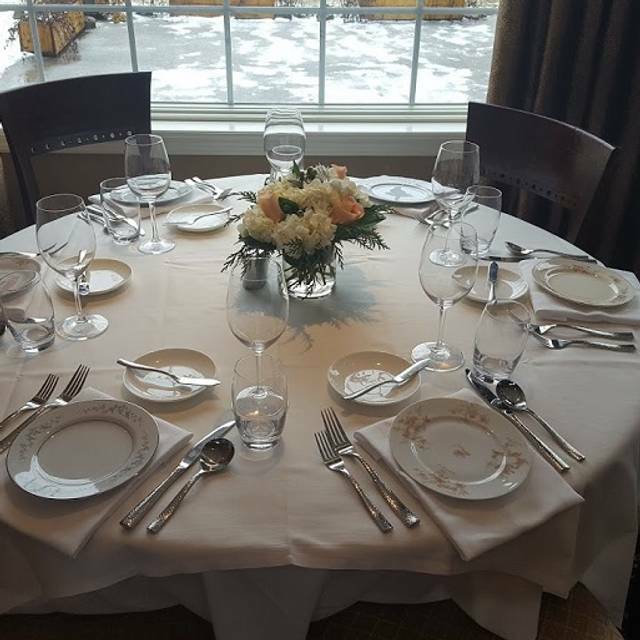 The staff was very attentive and made our dining experience a truly wonderful one. Give it a try, you will be delighted! Everything is wonderful. This is our special go to place. Excellent and inventive food. Amazing to have a sushi appetizer and duck entree in the same meal. Service was efficient and friendly. So happy to have discovered a BYOB with 5 star food. 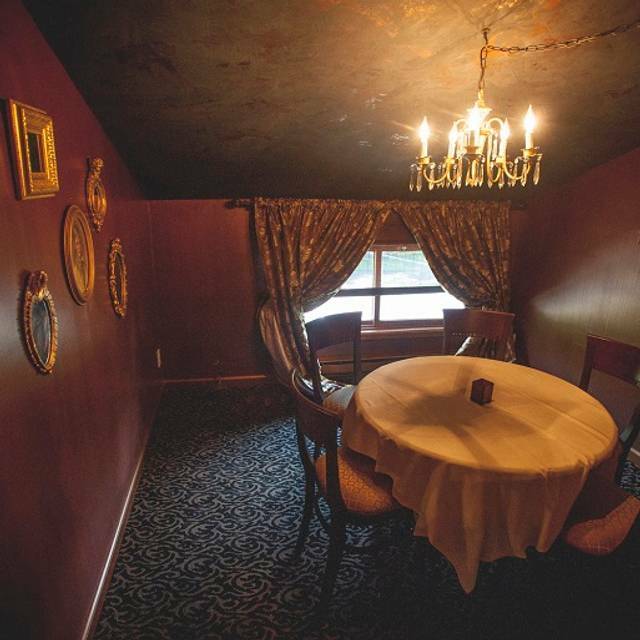 Dining at Andre’s is different than your average restaurant. Andre personally and artfully prepares each course. We have been several times and the dishes are unique and delicious! No other place compares. Service from the waitress and hostess (Andre’s wife) is perfect. It’s BYO which is also great. Not one negative thing to say....it’s well worth the money for a great night out! Wonderful everything......a treat. It is definitely a standout and we will dine there again. Our fist time and everyone loved it, definitely we're going back in summer time. Main course very good salads ok very wobbly table. Service excellent. Never disappointed at Andre's. Food, service, atmosphere always top notch. Andre'and Tracey could not be more gracious hosts. You cannot go wrong with dinner at Andre's! 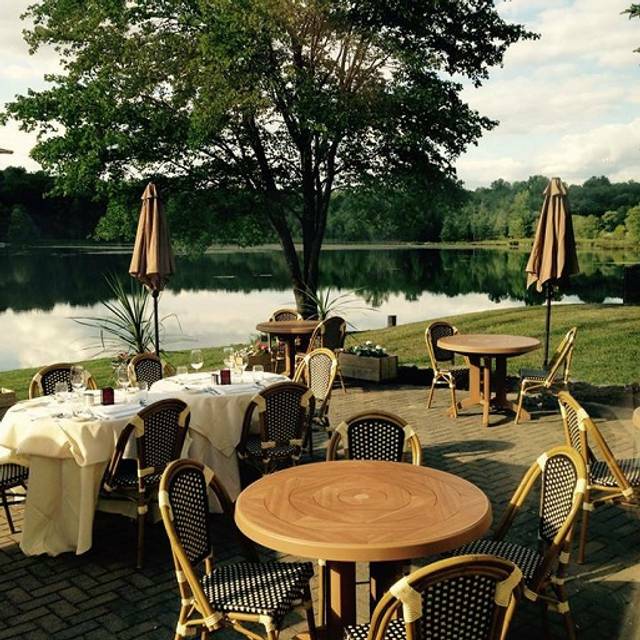 Lakeside dining at its finest! Chef Andre has a delicious seasonal menu. I highly recommend the tasting menu (5, 6, or 7 courses)! BYOB, but there are wines you can buy by the bottle, very affordable ($12-$35). 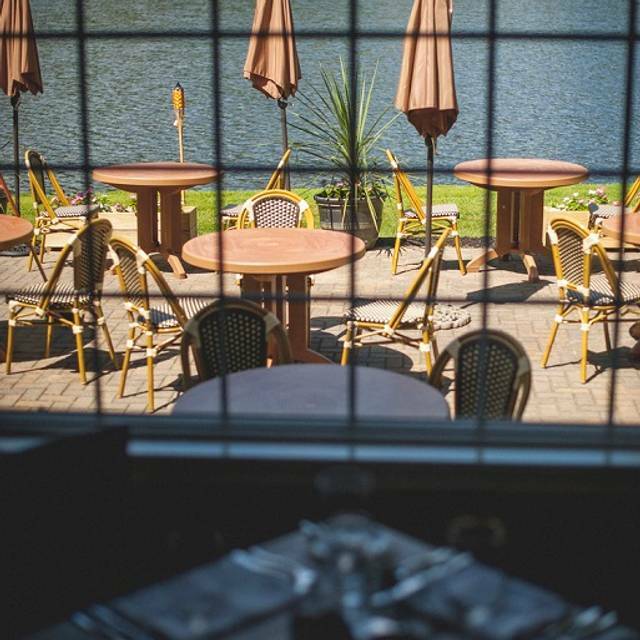 Whether you're seated inside or outside, you're guaranteed a view of the lake and friendly service. Just incredible! Everything was perfect and so relaxing. We will be back. The food was perfect and beautifully presented. Andre's was a fantastic experience for a foodie! I loved the Chef's tasting menu; explain your likes and dislikes and delicious food appears on your table. While it is not a cheap dining experience it is well worth it. Quickly turning into one of our favorite places to go. Was a nice romantic date night for us. Not rushed at all. Tasting menus never disappoints. Love this restaurant , the food is excellent, very nice atmosphere, waitress was very attentive . Tracey the owner always comes to table and makes sure that everything works out well. I would definetly recommend it. It’s nice to dress up and go out to a nice dinner. Food was phenomenal as was service. Couldn’t decide to eat. The food was fantastic. We decided to let the chef decide what to cook for us via a six course meal, and this was a wise decision. He began with a pickled salmon, which was fantastic. The dishes continued with scallops, breaded chicken in a small bed of pasta, veal, and pecan pie with chocolate and cream. My objective was to impress my wife for Valentine's Day, and I more than succeeded. I would highly recommend Andre's Restaurant and try the chef's six course meal. We met friends to celebrate a birthday and Valentine’s Day. Our friends were thrilled with our choice! Service was amazing, every request enthusiastically accommodated and our meal was amazing. The final touch was a surprise birthday celebration to top off a perfect night! It’s always a treat to visit. Although we don’t go often, we go often enough we get recognized and warmly welcomed. It’s a nice cozy yet classy atmosphere and the food is ALWAYS AMAZING! The constantly changing menu means it never gets old. When you find a place where you always get great food and know you will be treated so well it makes it hard to want to roll the dice on somewhere new. We live an hour away but 3-4 times a year when we want an amazing experience this is where we go, and have done for years. I can think of no higher recommendation I could give a restaurant. From the moment we entered, we were treated as a special guest. The staff was friendly, efficient and knowledgeable. Food and service always fantastic. Little overbooked for the holiday so the wait was a bit long. Andres is a wonderful restaurant. Best around. Andre’s dishes are always super fresh and always a creative combination of flavors. I also admire that Andre and Tracy go out of there way to get the freshest and best ingredients sourced locally when possible. They were very busy but wonderfully accommodating and the service was excellent. Kudos to Tracy as she wooed the crowd and was so inviting to all who had reservations and were waiting to be seated. The chef was amazing as always and the wait staff although were busy shows no stress at all! Bravo! We will definitely be back! Can’t wait for warm weather to eat outside with views of the lake. We love this place! 8pm on Valentines Day! I’m afraid you guys bit off more than you could chew that night. We had a three hour meal. We chose to have Chef Andre cook us up a nice selection of food. It was a good 1/2 hr between plates. The server asked to refill my water I tapped him on the shoulder and told him I was ready to order a Pizza from a local joint, that may have raised a few eyebrows! We watched as some tables who were seated an hour after us, get served, eat and leave. About an hour into our experience I apologized to my Wife and told her I had made a mistake and we should have hit the Diner!,,The food was very good! It was our second time there. Our last meal there it was warm weather and much more quite and we sat outside. I know apologies were flying all around, I just hate being the one accepting them. I know my way around the kitchen, been cooking since I was 8 so I guess I’m just hard to please. Like I said I know it was busy and I kept my calm and had my 3hr meal it won’t happen again! Let the chef decide what I would eat. Everyone is polite. Food is excellent. This place is a gem. Love going here....our special place to go for special occasions! Andre's has provided a consistently excellent dining experience for almost 20 years. We've been with them from the beginning, and we're glad they were so successful. Excellent choices on the Valentine’s Day 5 course menu. The gift from the chef was a nice start, and the dishes got better and better. Everything came out well spaced and the staff was very attentive. I expected the staff to be more thoroughly knowledable but two or three times I asked details about the dish served and the young runners couldn’t respond. All were polite, but I expected to be blown away by their knowledge about the food experience. Beef Satay, Mixed Greens, Curried Squash Soup, Sword Fish, and Lemon dessert were all good. Nothing was so mouth watering I was sad to finish it or excited to have it again. I have a very sensitive pallet and would consider myself a foodie, so most would have been entirely impressed. In regard to value, 100% satisfied. I look forward to going back on a regular night to try different options and see if some of the lack of excitement for my taste buds was due to the chef preparing for the masses. Outstanding as always. Andre is a great chef and we are never disappointed. I got the chef's tasting menu. Said I was a pescetarian. The entire meal was great. Wait staff was young and maybe a little inexperienced but they were very nice, no real complaint. The owner was around all night and was very gracious. I liked it a lot and would go back. Andres never disappoints!! The tasting menu was to die for!! Always our favorite place! Hospitality, ambiance, great food, great value. Andre and Tracy have created a masterpiece in our culinary desert. Highly recommended, especially in warm weather when you can sit outside. Lived in county for 30 years - never had gone to Andre's. So glad we did. Whole experience was excellent.